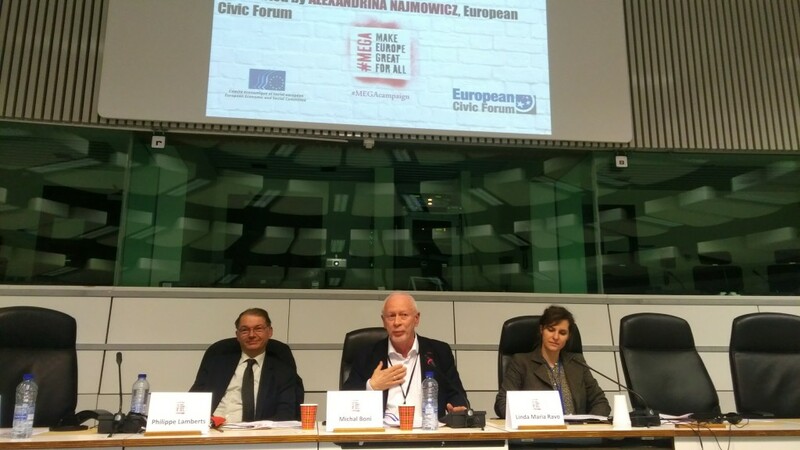 On 19 February, the European Civic Forum, together with its members, called upon all civil society representatives, activists, decision-makers and citizens to join them for the kick-off event of the transnational civic campaign Make Europe Great for All – MEGA campaign. 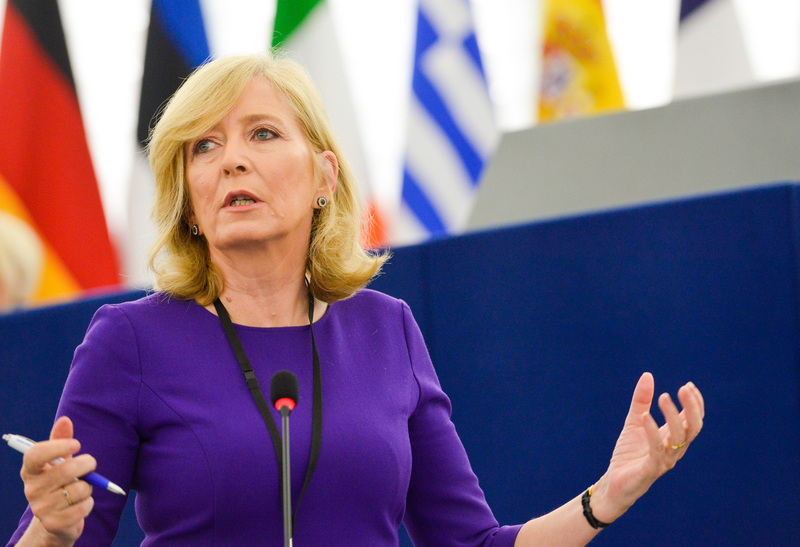 « With this campaign, we aim at mobilising horizontally all those who want to see a Europe with more solidarity, more inclusiveness, more equality, because we cannot hear their voices in the public debate at the moment. », said Jean-Marc Roirant, the president of the ECF. Between risk of disintegration and proposals for reform, Europe today is navigating through murky waters. Democratic representation is confronted to a crisis of legitimacy and a claim for accountability. Civil freedoms and Human rights are downsized in the name of security, as if the latter implies sacrificing the formers. Regressive policies in terms of democracy and social cohesion strengthen regressive forces.This is precisely what supporters of the MEGA campaign want to fix, or at least include the latter into the debate about the Future of Europe: what do equality and solidarity mean for a quarter of Europeans facing poverty and social exclusion? What do inclusive societies mean when addressing the consequences of migrations from countries hit by war, poverty and dictatorship? How to build a more democratic Europe where social and environmental rights come before the economic interests of a few? How to combine political will, legal instruments and action through civil society to safeguard democratic values and translate them into concrete policies? With a wide scope of speakers, from CSOs representatives (Filip Pazderski from the Institute of Public Affairs in Poland, Francesca Chiavacci from ARCI in Italy, etc.) to institutional panelists such as Georges Dassis (president of the EESC), Michal Boni (MEP, Poland) and Philippe Lamberts (co-chair of the Greens group in the European Parliament), the European Civic Forum launched a wide reflection, which will feature multiple events throughout Europe, but also debates to include all these topics into the campaign for the 2019 European elections. This will ultimately enable civil society to put pressure so that political leaders, media representatives and citizens can appropriate the tools and take an active part in the debate.